Gold has been discovered at a number of locations in the region. Ormeau is a suburb located south of Beenleigh and Yatala, adjacent to Norwell on the eastern side of the Darlington Range. 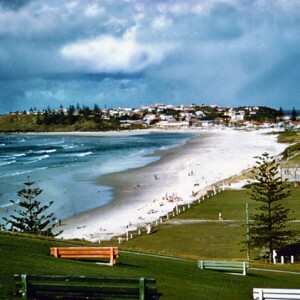 It was officially gazetted as a suburb of the Albert Shire on 1 Jan 1970. The original Aboriginal name for the area that became Ormeau is believed to be nulgul, which means dingo, while ormeau is a French word which means young elm. Major William Alexander Jenyns Boyd (1842-1928), was a school teacher, agricultural journalist and soldier who selected land and established the Ormeau Sugar Plantation in the area in 1871. At the time, the location of the property was described as being in Pimpama on Portions 5A and 35. It is believed that Boyd named his new home Ormeau after the birthplace of his wife, Isabella Dawson, whose family owned Ormeau House on Ormeau Road in a district south of Belfast, Ireland. However an alternative account published in the 1930s suggests that it was named after a school or area in France where Boyd may have been educated. 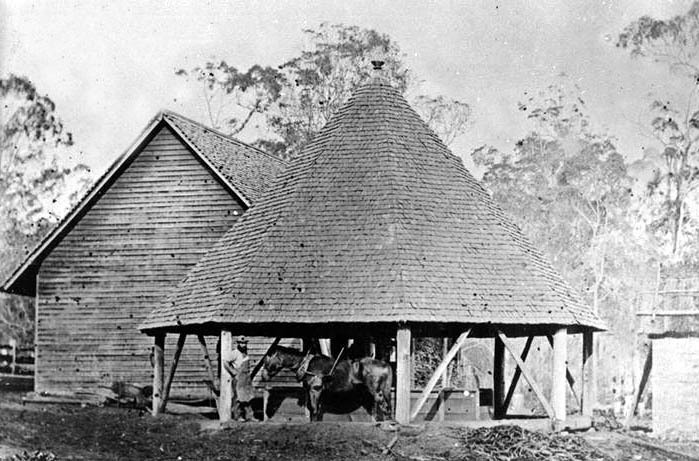 Boyd built a weatherboard cottage with a verandah, kitchen and storeroom, a manager’s house, labourers’ quarters, fowl-house, piggery and a sugar mill on his newly acquired land. While the property operated as a sugar plantation and would have provided food for the family and residents, as an educator, Boyd also advertised his services as a teacher and offered boys tuition and board in his home for a fee. 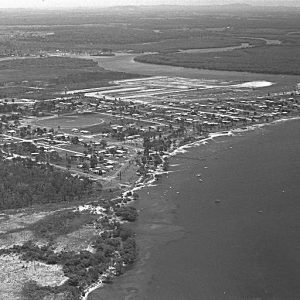 The plantation was reasonably successful, but the constant battle with cane-rust and frost eventually defeated Boyd and he left the region to take up the role as head master of Townsville State School. 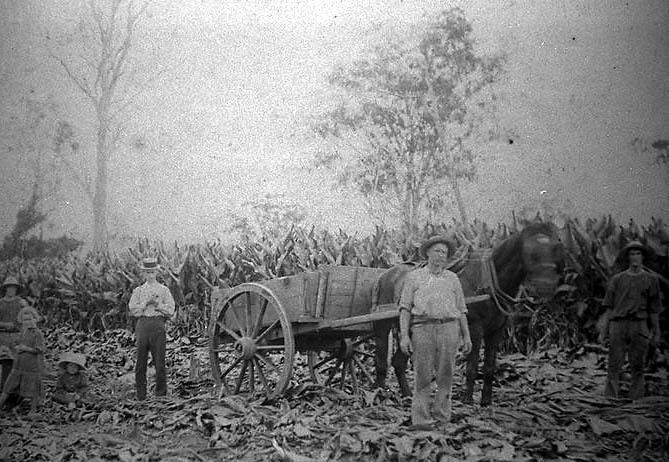 By 1872 the Ormeau Sugar Plantation was advertised for sale in Brisbane newspapers. It was described as having a total of 320 acres with 27 acres under sugar cultivation. In addition to a nursery housing various types of sugar cane, there were also orchards and a garden featuring tropical and semi-tropical fruits which were considered valuable. 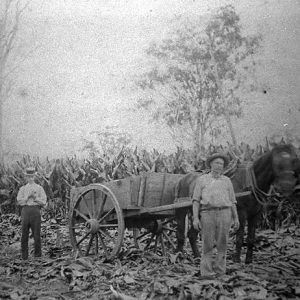 After his departure from Ormeau, Boyd continued to be involved in Queensland education and agriculture. Following his time as the head master of Townsville State School, he spent two years travelling through the Queensland goldfields and remote stations. In 1874 he became the agricultural editor of the Queenslander. Boyd also grew citrus in Helidon, established a private school in Milton, owned Eton School at Nundah from 1883-1889 and was also a principal of Toowoomba Grammar School. He became the first editor of the Queensland Agricultural Journal and set out to improve agricultural standards throughout the state. 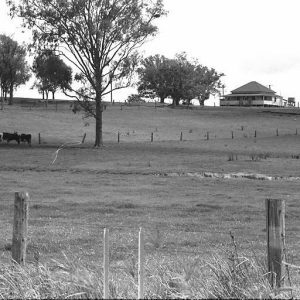 While Boyd provided the first formal education for boys in the area, in 1878 the Ormeau State School was established offering education for all of the children in the growing agricultural district. In the 1880s William Doherty bought Boyd’s property and established the Oxenford and Doherty mill. 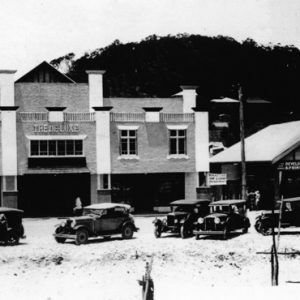 Doherty owned numerous properties in the area and was a member of the Coomera Divisional Board and Shire Council. While the farm moved away from cultivating sugar to growing arrowroot and supporting a dairy heard, Boyd’s original plantation remained in the Doherty family for many years. While Ormeau was known for its rich alluvial soil and agricultural output, prior to 1887, gold and gold bearing material had been discovered at a number of locations in the region. The deepest shaft cut in the area was 26.8 metres deep but, while some reports were favourable other reports described the gold as being of little value. The seams were explored, including one at Witty’s property approximately a mile from the original Ormeau railway station until the 1930s. 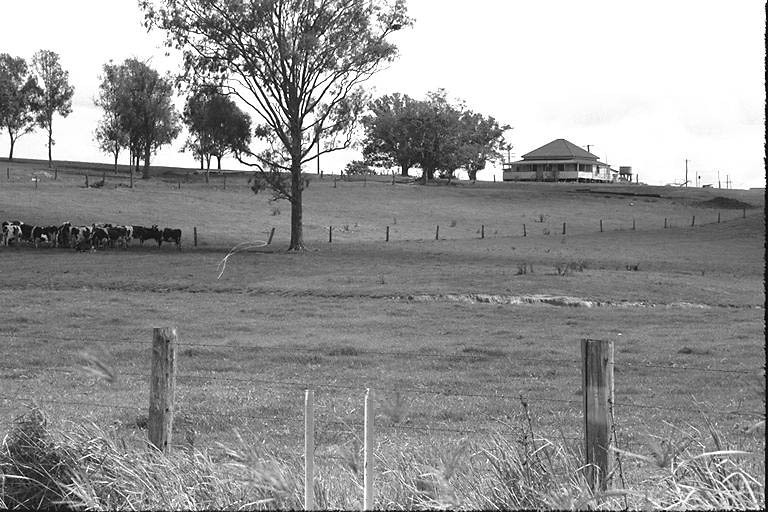 In 1984 development plans were put to the Albert Shire Council for approval by Murphyores Holdings Ltd for a rural housing estate with a small town centre. 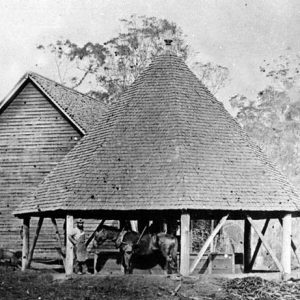 Old Ormeau Town on the Pacific Highway was designed to replicate an early Australian bush township. 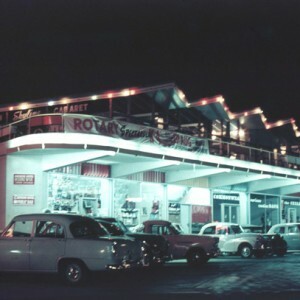 The shopping centre was completed first and opened by Queensland Premier Sir Joh Bjelke-Petersen on 3 Nov 1984. The rural estate was 600 hectares and was comprised of 750 lots of between one and three acres in size. The area at the time had a population of about 3,700. The 1995 the Brisbane to Gold Coast railway line began construction and included a station for Ormeau built across the Pacific Highway near Pimpama. The new railway line and station replaced the earlier South Coast railway line and a previous station at Ormeau which had opened in 1889 and closed in 1964. The new Ormeau Station opened in 1996. The establishment of a new railway station at Ormeau encouraged growth and the final stages of Ormeau rural lots were released in 1990. In 1983 industrial development in the area was proposed by the Albert Shire Council in their Strategic Plan with the re-zoning of rural lots to light and medium industry. Over the following decades, Ormeau transformed from a rural and agricultural region to an increasingly residential area. City of Gold Coast Local Studies Library Manuscript, Albert Shire – Suburb History (Binder L-Z) LHM0431. Hanlon, W. E. The Early Settlement of the Logan and Albert Districts. Historic Society of Queensland Journal Vol. II No. 5 Nov. 1935. Millar, Jackie. Watchdog on estate. Albert & Logan News (Beenleigh, Qld.) : 29 Sep 1993, p. 1. Nairn, B. & Serle, G. Eds. Australian Dictionary of Biography, Vol 7 1891-1939 A-Ch. Melbourne University Press : Carlton Vic., 1979. 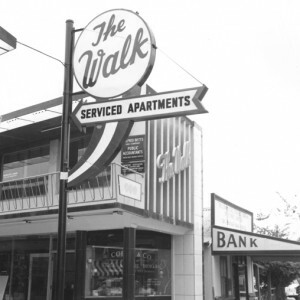 Old Ormeau Town, Gold Coast Bulletin (Southport, Qld.) : 11 Apr 1984, p. 42. Old Ormeau Town, Gold Coast Bulletin (Southport, Qld.) : 13 Nov 1984, p. 5. Albert & Logan News (Beenleigh, Qld.) : 23 May 1990, p. 5. Queensland Department of Natural Resources and Mines, Place Names. https://www.dnrm.qld.gov.au/qld/environment/land/placenames/search#/search=ormeau&types=0&place=Ormeau25575 Accessed 7 Dec 2017.